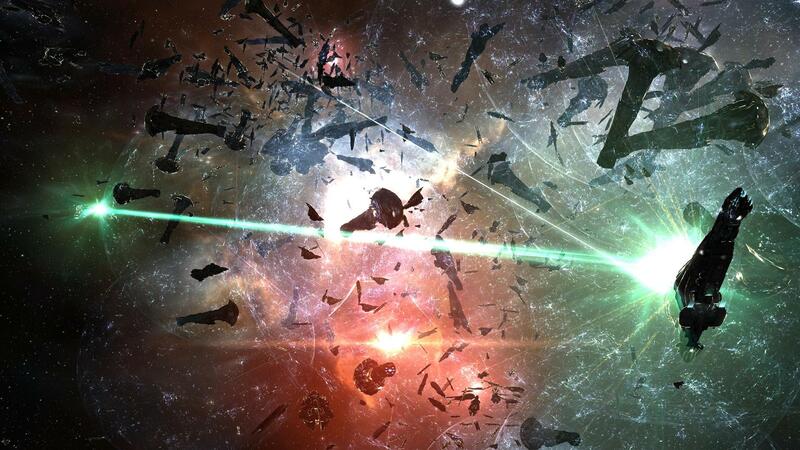 CCP Games is creating a permanent memorial to an EVE Online battle estimated to have caused more than $300,000 in real-world damages. I don't play EVE Online but I absolutely love it, because it's the only game in the world in which something like this could happen. As we reported a couple of days ago, a missed bill payment sparked the biggest battle the game has ever seen, with more than 2200 participants, and now that it's over and the cost is being counted, it's estimated that between $300,000 and $330,000 in real-world money has been lost. 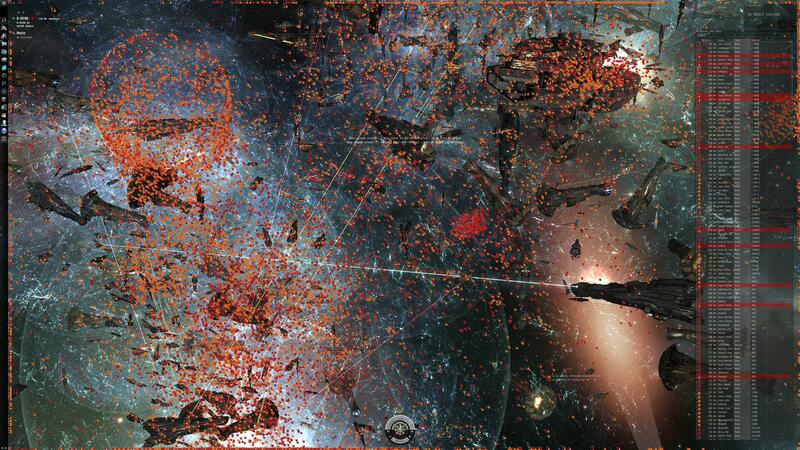 In a blog post entitled "The Bloodbath of B-R5RB, Gaming's Most Destructive Battle Ever," CCP broke down both the causes of the battle and the staggering losses that resulted. Easily the most telling fact is that no more than 12 Titans, ships that "take thousands of man-hours to produce, take months to train to fly, and are capable of fitting massive doomsday weapons that obliterate lesser ships with a single volley," had ever previously been destroyed in a single battle; at B-R5RB, a total of 75 were lost. A few other numbers of note: 123 Carriers, 13 Supercarriers, 370 Dreadnaughts and "lots more smaller ships and probably a bajillion drones and fighters" were destroyed and roughly 775 doomsdays were fired during the 21-hour battle, representing a quarter of all doomsdays fired over the past two years. The economic impact of the battle comes in at around 11 trillion ISK, which CCP said could translate into as much as $330,000. As soon as the fight was over, CCP said it began receiving emails demanding a monument to the battle, something it was already considering. Thus the studio is using the new Titan wreck models that were recently introduced to the game to create Titanomachy, which will be a permanent ship's graveyard around the seventh planet of the B-R5RB system. The "hauntingly beautiful" arrangement of destroyed ships will hopefully be installed during the January 31 downtime. 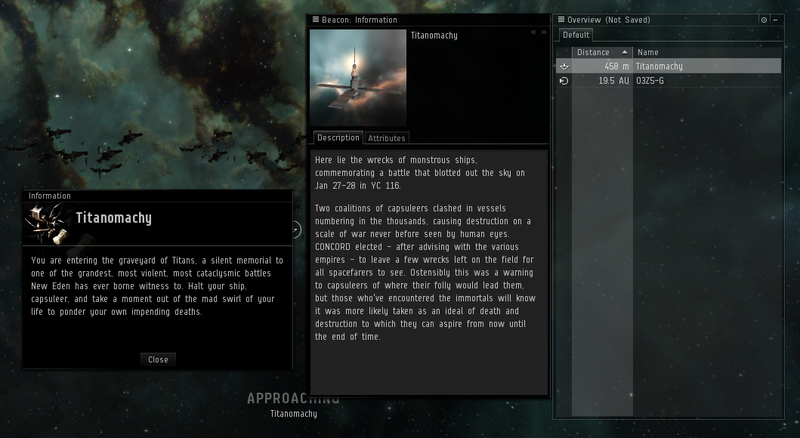 And that's why I love EVE Online.